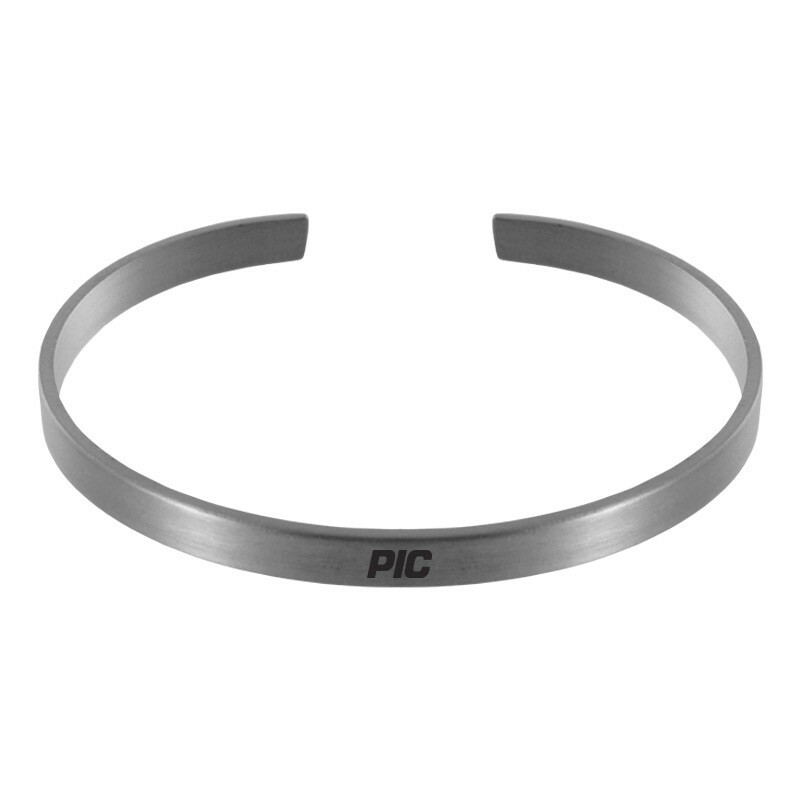 For an accessory that will never go out of style, consider the Contemporary Metals 5mm Bangle Bracelet. 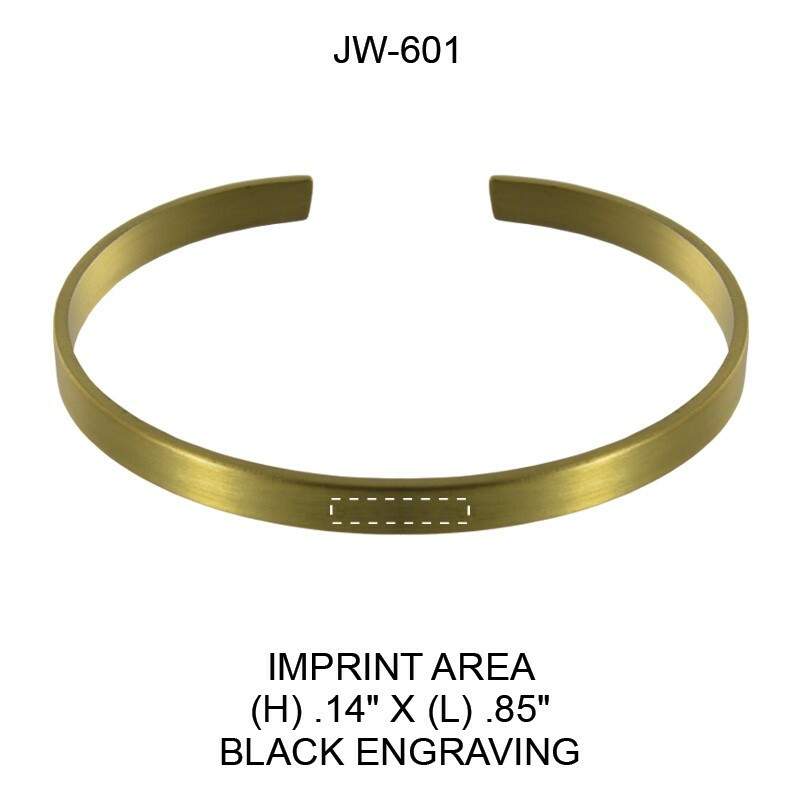 This elegant bangle bracelet is low-profile in size, but still manages to beautifully display your logo in black against a light-catching brushed brass or brushed rhodium finish. This slim, personalized bracelet shines in either gold or silver thanks to its brushed brass finish.